JAVA stacks for SAP NetWeaver AS are not my favorite thing in the world. There are a lot of tools and transactions from ABAP stacks that I really miss when I’m working with a JAVA stack. Despite of this I must admit that patching a JAVA stack is becoming easier during the last years. For example, for using the Software Update Manager with an ABAP stack it is necessary to have a XML file in order to patch the system. In the case of a JAVA stack you only need to download the files and select the directory during the SUM execution. Easy right? Otherwise you can go really crazy and try to patch a JAVA stack using NWDI. You will have lots of fun, I promise! Long time ago there was a thing named Software Deployment Manager (SDM). You could use the SDM to deploy/undeploy SCA files individually and to check which software components where installed within the JAVA system. There is a small guide about SDM right here. About the same time there was another thing named Java Support Package Manager (JSPM) which was an interface between the user and the SDM. The JSPM has a lot more features than the SDM and it was the standard tool for patching a JAVA NW. With the JSPM you could patch a full SPS, a single SP, install new software components, etc. There are plenty of guides about JSPM on the Internet since it was the most popular tool on those days. 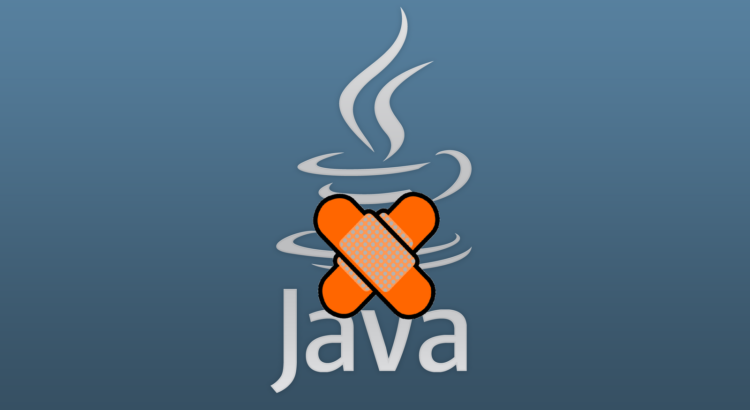 About some years ago SAP release the Software Update Manager (SUM) and they decided that both JSPM and SDM were not worthy of being use to patching a Java system. The SUM had a lot of advances for patching SAP system and even if the initial versions had a lot of problems there was a big improvement compared with SDM and JSPM. About this time SAP thought it was a good idea to use the Solution Manager MoPZ in order to calculate the Support Package stack. This was a good idea in the beginning but there was a small problem: When calculating the SP stack the latest patches for the software components were not included in the stack. Patch? What is a patch? On ABAP stacks SAP releases the new Support Package for a software component. When a new issue is discovered and fixed SAP releases a SAP note that you can implement with your system. When a lot of notes has been released there are grouped on a Support Package for that component. This is a really simple explanation, I know I’m missing a lot of stuff here. On JAVA stacks SAP does almost the same. They release Support Packages for a software component. The difference here is that is not possible to import a SAP note on a JAVA stack using the transaction SNOTE because there is no SNOTE on JAVA stacks. In this case SAP releases a patch for a specific Support Package when they find and fix an issue. In this case the patch level for the SP09 of the FRAMEWORK component would be patch 1. On the contrary, the patch for the SP09 of the ESP_FRAMEWORK would be the patch 1. Check manually the dependencies within the Support Portal which usually takes a lot of time. 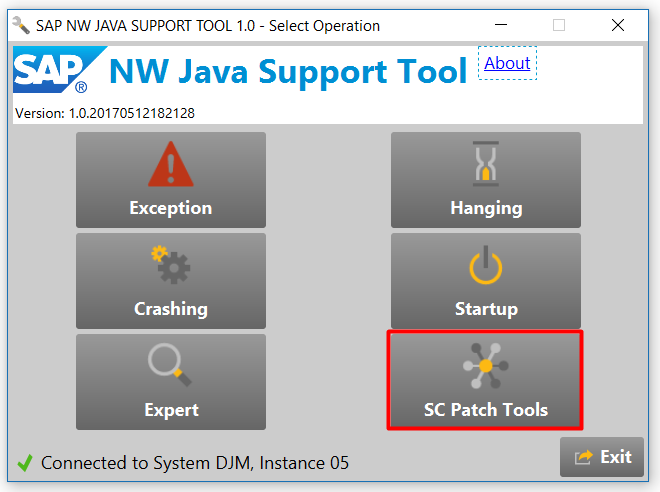 Use the SAP NW Java Support Tool 1.0 which makes everything easier. After this you will only have to download the SCA files from the download basket, upload them to a directory in the server and patch the system using the Software Update Manager. As you can see it’s really easy to calculate and download the dependencies when patching a software component. 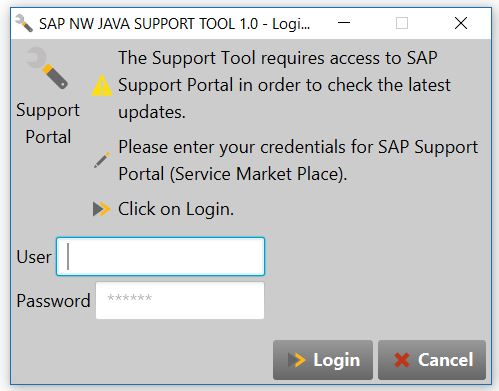 I’ll write in the future a little bit more about the SAP NW Java Support Tool and all the possibilities we have when using the tool. Wow, thanks, did not know about this one. Client receive SOAP fault from Server: Start service runs with administrative privileges, OS Execute disabled. Please see the server log to find more details regarding exact cause of failure. 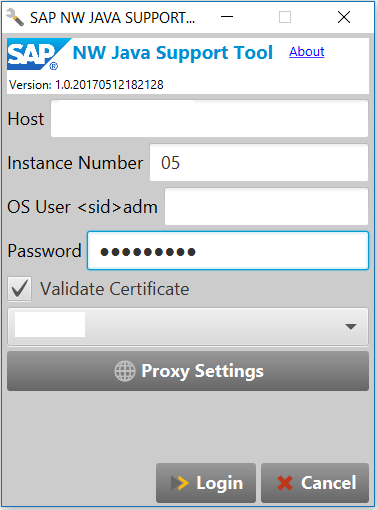 Logon sidadm credentials are correct, but still giving error of ‘ OS Execute disabled’. Could you please check the following URL? https://wiki.scn.sap.com/wiki/display/ASJAVA/SAP+NW+Java+Support+Tool In the comments there are some people with the same problem and different solutions you can try to make it work. Some of them are related to the SAPControl and sapstartsrv. 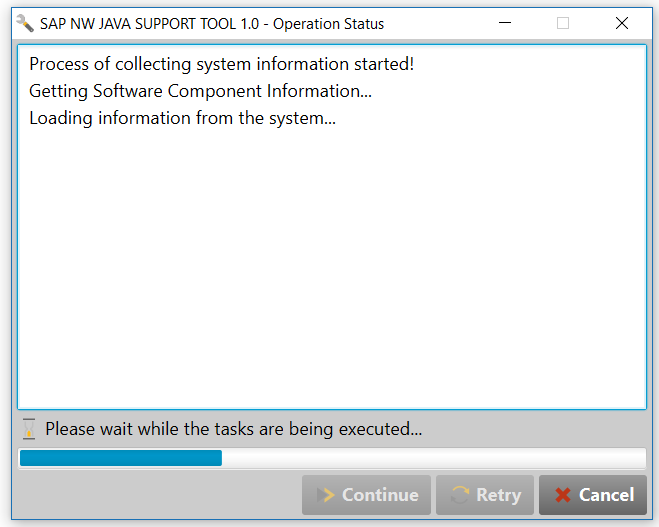 I tried using NWJST to get all the dependent SCA for “Java Engine Servercore 7.40”. I also tried SAP Maintenance Planner and also was able to get all the dependent SCA. However, the result of using NWJST for dependent SCA’s is different from SAP Maintenance Planner. If I used NWJST, there are SCA’s missing compared to SAP Maintenance Planner. If I used SAP Maintenance Planner, there are also SCA’s missing compared with NWJST. I thought that they should have the same result. NOTE: The Maintenance Planner is updated properly from Solution Manager. Sorry for the delay answering your comment. 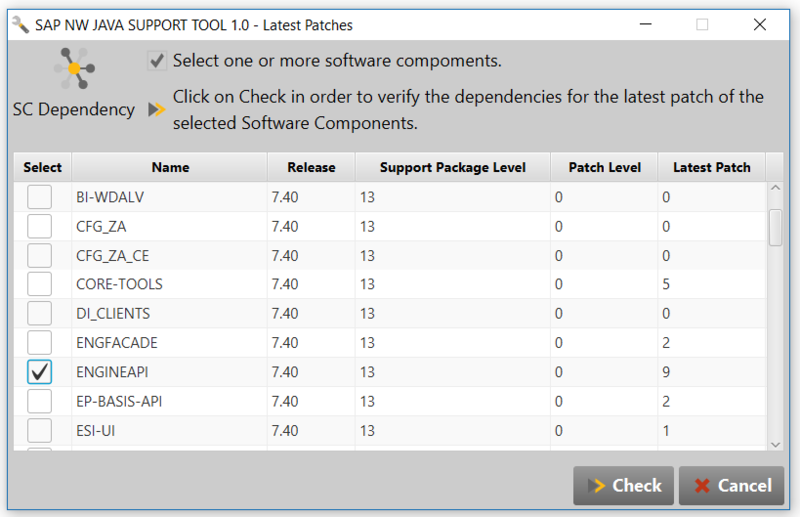 As far as I remember the SAP Maintenance Planner doesn’t include the latest patches available for the component and it is only used for updating Support Package (including the full stack). It was like this when using the MOPZ in the SolMan during the old times and I think it should be the same when using the SAP Maintenance Planner. 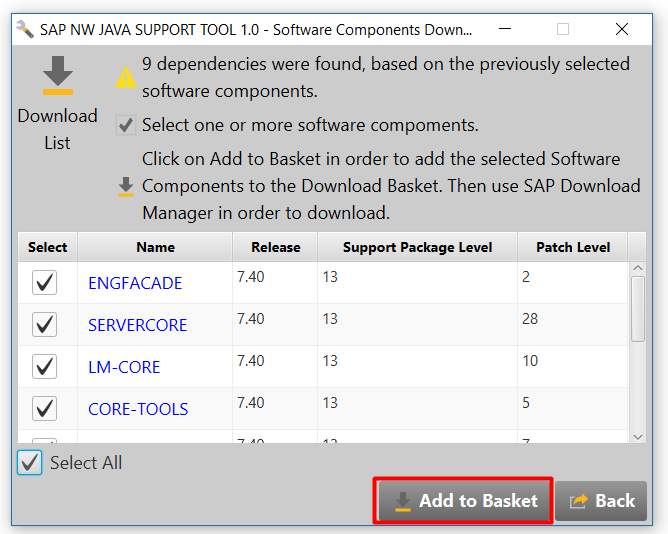 If you want to patch just one component and all the dependencies you should use the NWJST, if you want to update the Support Package for one or more components within the Java system then you should use the SAP Maintenance Planner. The NWJST check the latest patch available for the component and all its dependencies. If you have any other question let me know. I double checked the SAP Maintenance Planner and it seems that now you can create a maintenance transaction for patching the software components. When you select the system use the option Plan a Minimum Software Change and then select Update SAP NetWeaver. Continue and it in the Select Stack dependent and independent files there will be an option for adding Java Patches. If you choose the component there then the maintenance planner will add the patches for the depending components of the one you want to update. I will post an entry about this becauase I think it will help people in the future. Thank you!